Intermingling nearly every musical genre from below the Mexi-American border up to the Mason-Dixon Line, Oxford, Mississippi’s The Holy Ghost Electric Show are not of this time. Having created a patchwork map, eras past and places far and wide dot their debut album, The Great American Holy Ghost Electric Show. Evoking Martin Luther King, Jr. on “Glory Days”, frontman Cody Rogers laments youthful ambitions long gone over down-tempo twang provided by brother Jake (guitar/banjo), Will Shirley (guitar), Conner Wroten (bass), Austin Wheeler (drums) and Jesse James (trombone/keys). James’ horn work features prominently on album opener, “Highway Towns,” a bluegrass rag. Given the sextet’s average years of existence is barely above that of legal drinking age, touching upon such questionable themes and topics could easily prove trite, yet their studied handling proves honest and informed. 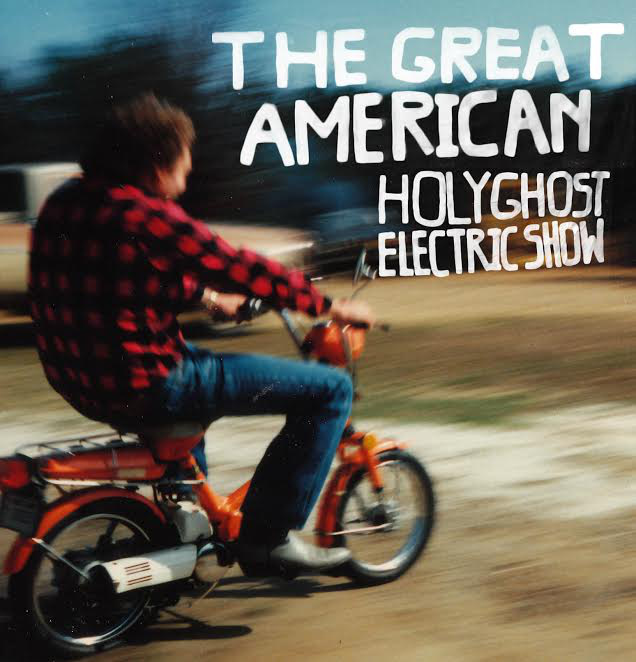 A sprawling composite of American hopes and history, The Holy Ghost Electric Show burns bright on the ambitious The Great American Holy Ghost Electric Show. Available via This Is American Music, you can stream/purchase The Great American Holy Ghost Electric Show below.